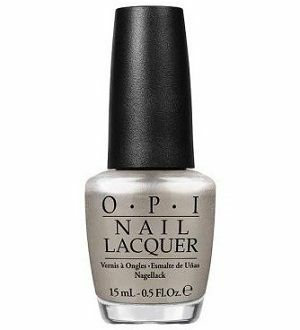 OPI Nail Polish, My Silk Tie, NLF74, .50 fl. oz. Metallic light silver shimmer nail color.